Although the graduate researchers at OHSU in Portland won their union with a strong majority, the University has submitted a formal objection, saying they are not “employees” and cannot unionize. Let’s stand together as an OHSU and greater Portland community to show that we are not going to let this objection slow the momentum and that graduate researchers deserve a voice at work! 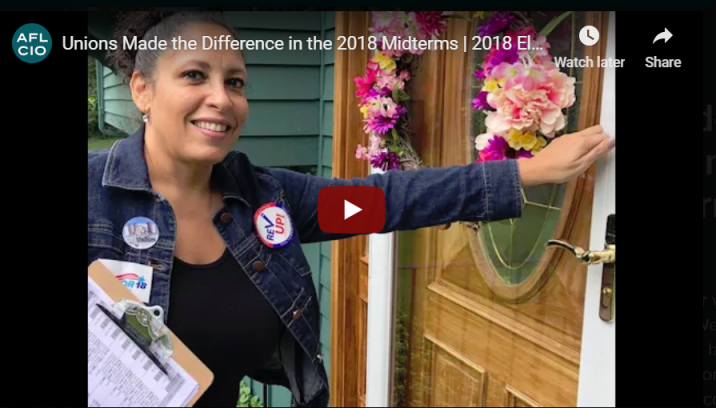 Across the country, working people made our voices heard in the 2018 midterm elections. We knocked on 2.3 million doors and made a half a million phone calls in support of the labor-endorsed candidates who will advocate for working people. In Oregon, we knocked on over 114,000 doors and made over 220,000 phone calls and text messages. And our efforts paid off. 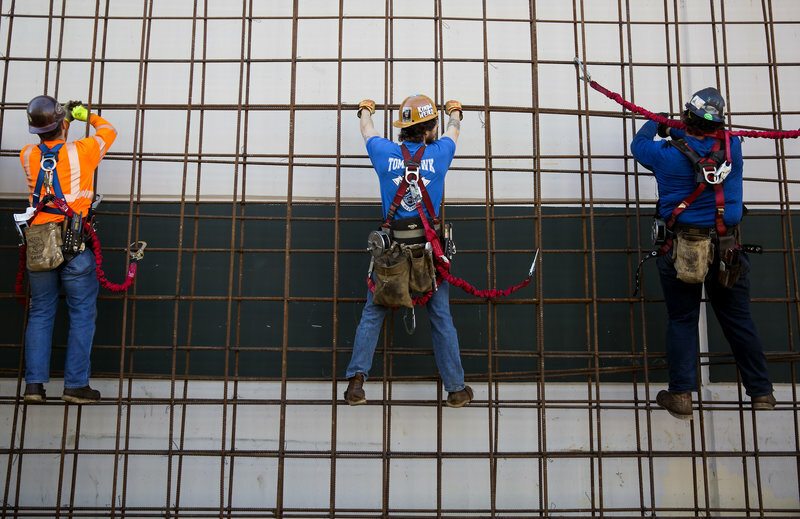 In Oregon, union volunteers provided an immeasurable effort to help with election victories. On our latest podcast episode, you can hear from three dedicated unionists about what compels them to knock doors, make phone calls, and keep coming back to Oregon AFL-CIO political events. Click here to listen. "The biggest races — the governor's contest and five statewide ballot measures — were lopsided victories for Democrats and labor. ...Polls that suggested some of these might be close were wrong. 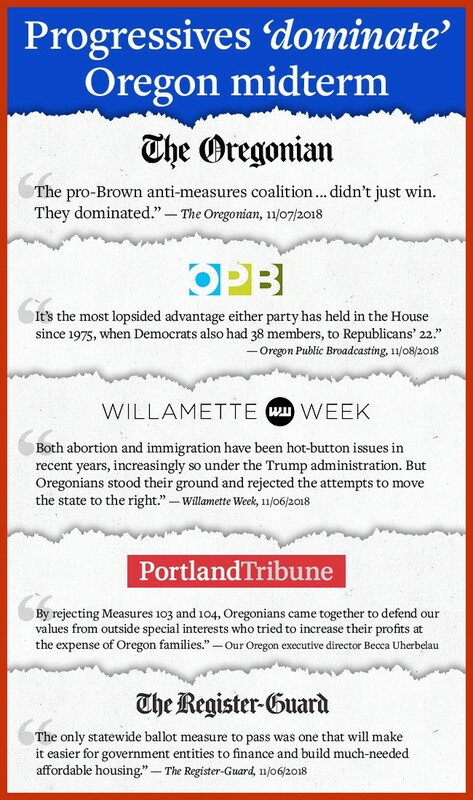 The pro-Brown anti-measures coalition, heavily funded by public employee unions and joined by national pro-Democrat political action committees, didn't just win. They dominated." "House Democrats hoping to pick up one seat overshot that goal, taking three. That gives the party more than the three-fifths 'supermajority' they need in the House to pass new tax measures without needing any Republican help. It’s the most lopsided advantage either party has held in the House since 1975, when Democrats also had 38 members, to Republicans’ 22." "Voters crushed Measure 106 ... In early returns, Oregonians voted 64 percent to 35 percent against what would have been the first state-level restriction on abortion in Oregon—the only U.S. state that has refused to restrict a woman's right to choose … In an equally resounding decision, voters rejected Measure 105 by a margin of 63 percent to 36 percent in early returns. It would have repealed the state's sanctuary law that bars local law enforcement agencies from spending state and local resources on enforcing federal immigration laws. The 31-year-old law passed with bi-partisan support as an attempt by Oregon lawmakers to reign in racial profiling by police officers and sheriff's deputies." "On election night, Oregonians blocked attempts to overturn the state's sanctuary status for undocumented immigrants and affirmed public funding for reproductive health care. In so doing, Oregon voters rejected socially conservative priorities by large margins and held to its status as a socially liberal state. They also roundly rejected fiscally conservative measures that attempted to restrict tax increases, opening the door for broader tax hikes in the 2019 legislative session." "Oregon voters weren’t afraid to say no this election as they weighed in on an array of hot-button social issues from abortion to immigration to taxes. Ballot measures to repeal the state’s first-in-the nation immigrant sanctuary law, prohibit state funding of abortions and add a ban on future grocery taxes all failed at the polls Tuesday. Voters also rejected a measure that would have required a legislative supermajority to approve bills that raise revenue in any way — not just through taxes. The only statewide ballot measure to pass was one that will make it easier for government entities to finance and build much-needed affordable housing." National Apprenticeship Week celebrates the impact of apprenticeship programs in helping Americans learn skills for jobs in growing family-wage industries. "While a shortage of workers is pushing wages higher in the skilled trades, the financial return from a bachelor's degree is softening...There is an emphasis on the four-year university track...Yet, nationwide, three out of 10 high school grads who go to four-year public universities still haven't earned degrees within even six years..."
Click here to learn more about registered apprenticeships in Oregon. 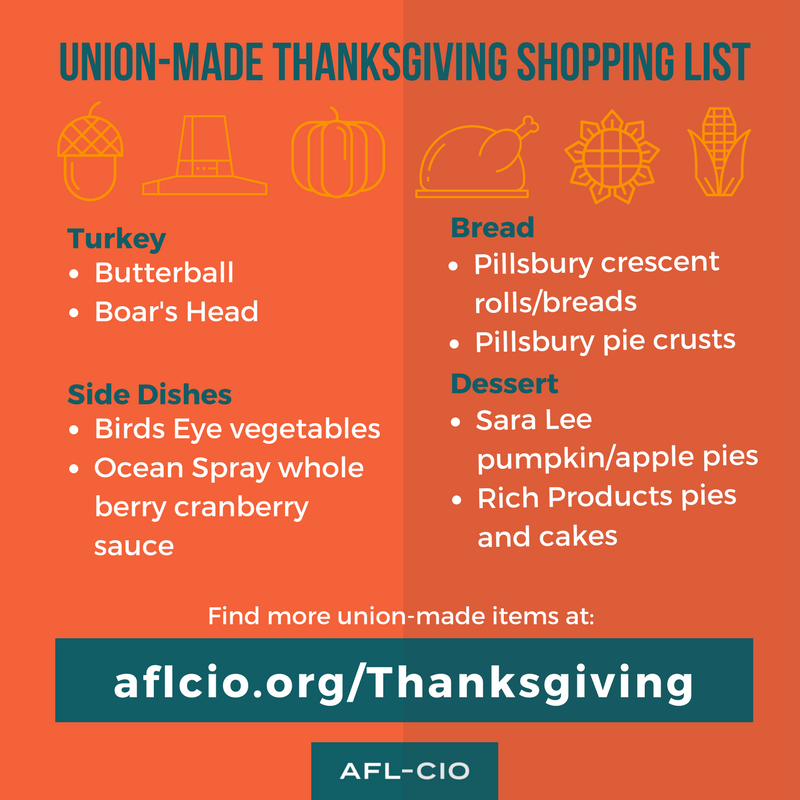 Before you put together your Thanksgiving dinner shopping list, check our list of union-made in America food and other items that are essential to a traditional family Thanksgiving feast. Click here to see which items are union-made.